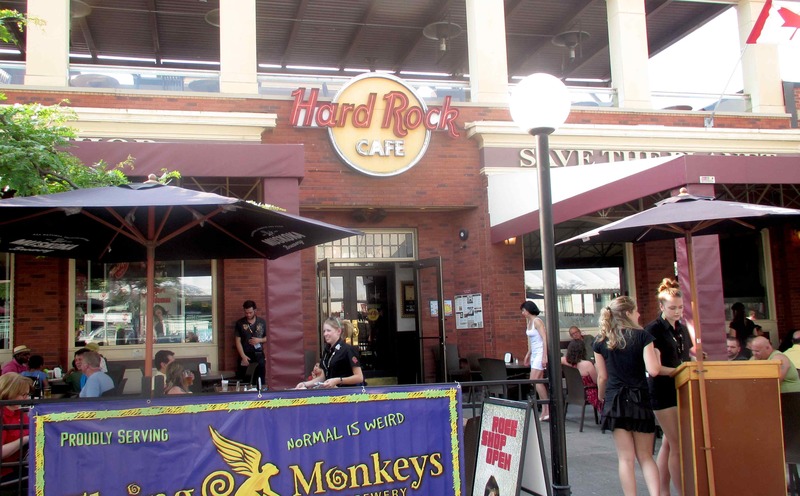 The Hard Rock Cafe in Ottawa’s Byward Market is just one in a huge chain of restaurants with locations around the world. Despite the fact that the general culinary theme reflects the American southwest, the empire had its beginnings, I was surprised to learn, in London, England. When I arrived at around 6pm on a Saturday evening, the patio and inside part of the restaurant were almost completely full. The place is well staffed, however and I was greeted, seated and served my first drink within 5 minutes of arrival. The servers all seem to be college age young ladies and gentlemen and they were all friendly and courteous to a fault. My only real quibble was with being asked repeatedly if I was ready to order after clearly indicating I planned to have a drink or two at first. No doubt the staff are trained to do this but I very much wish they would take their cues from the customer in this regard. 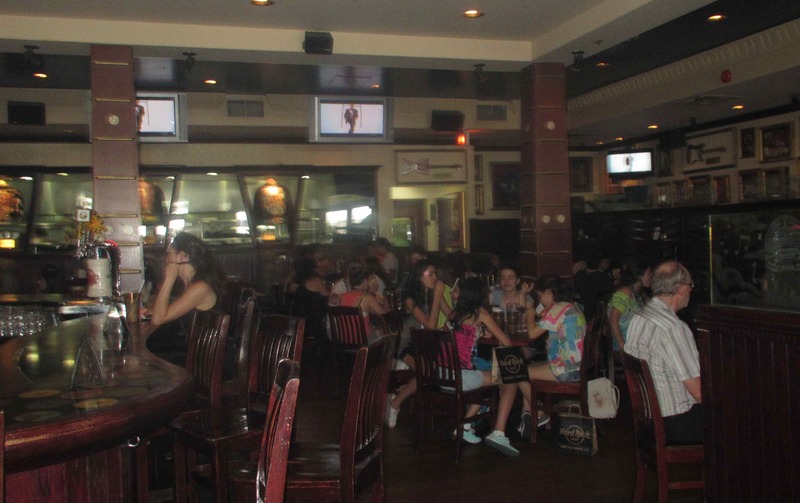 The interior of the building is sleekly modern and rather in the fashion of an upscale sports bar but is decorated with all sorts of rock music pictures and memorabilia. After I had been seated for a while, I noticed that there is also an outdoor deck on the upper floor of the building but it seemed not to be in use at the time. Generally, the place is very pleasant but I did note that the washrooms, located in the basement, gave aromatic evidence of not having been sufficiently cleaned in some time. I did give serious consideration to sampling one of the many specialty burgers on offer, and I saw a number of people clearly enjoying these, but I had my heart set on a steak and opted for the 12oz New York strip with Merlot Butter. 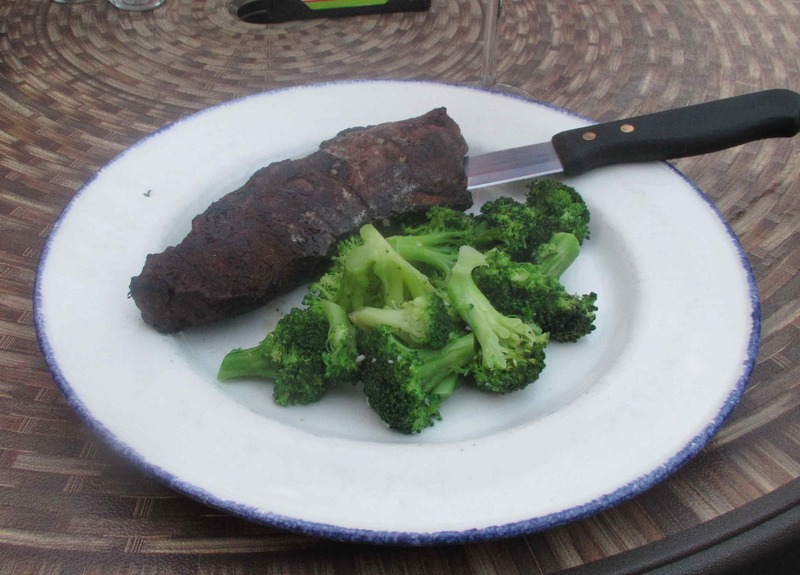 An 8oz sirloin is also offered and, while I would have been happier with a smaller steak, I decided on the better cut. 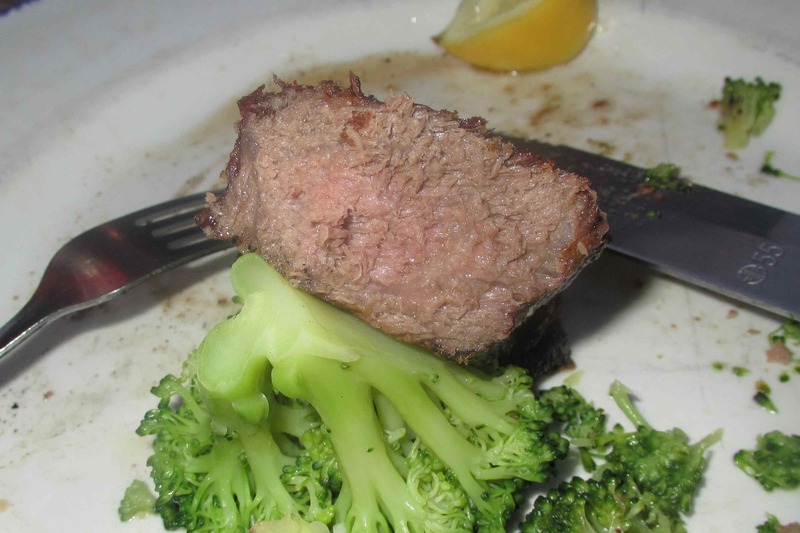 The presentation of my entree was a bit sparse and unbalanced owing to the fact that I waived the garlic mashed potatoes that usually accompany the steak. There were other starches and sides on offer but I didn’t feel move to try any. Instead, I just went with the garlic butter broccoli that was the vegetable of the day. I didn’t notice until after I had finished the meal that the promised Merlot Butter had been forgotten by the kitchen staff. We used to have one of them here in Dublin. It was dire. I suffered it twice. The second time because I was drunk. One had a marginally better experience if drunk. Thanks be to goodness, it wend bust or something. I just heard the Ottawa location is closing… won’t be missed by me.